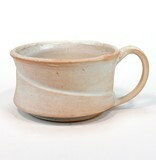 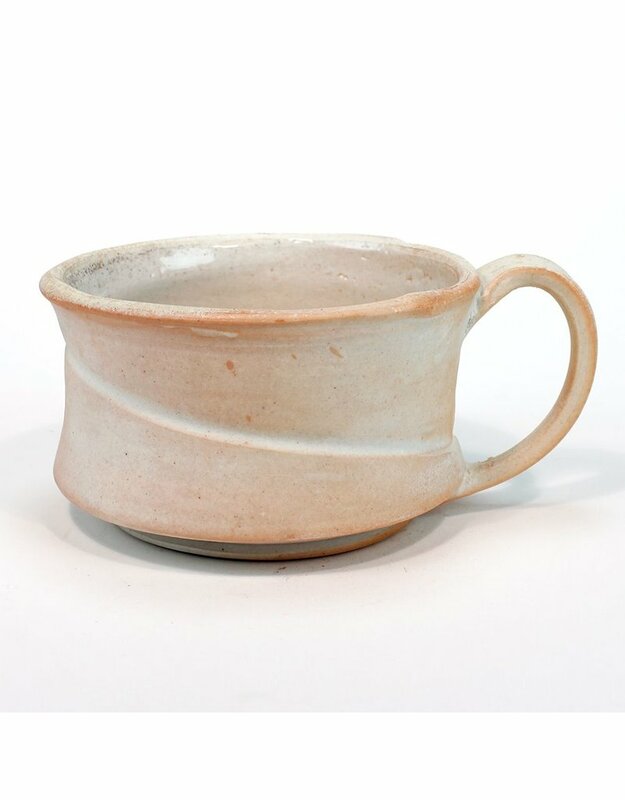 A soup mug by Kevin Caufield. 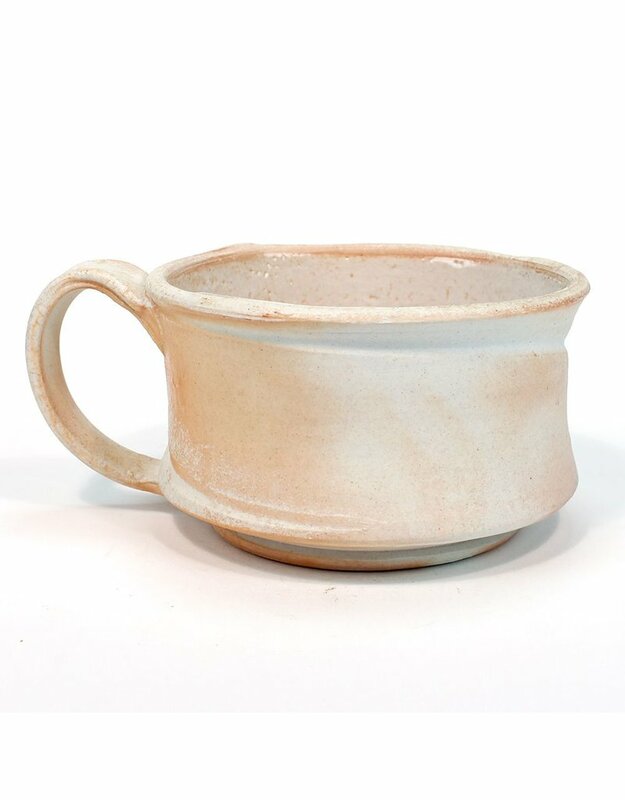 This porcelain mug has been wood fired to give the surface a soft, orangey glow. 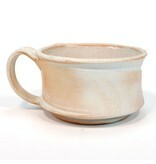 This mug will provide comfort for those days you are sick in bed with chicken noodle soup!